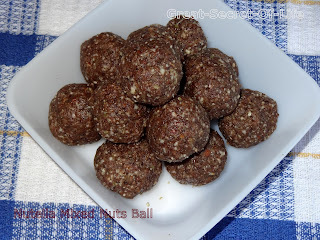 Craving for some healthy sweet but easy to make (of course no mood to go for shopping it should be with ingredients which are currently available). I had almost all of the nuts at home. I used to take Chia seeds regularly ( Note the point I said used to.. However for some reason I hv dropped the habit). So I wanted to include the Chia seeds as part of the dish I wanted to try. When I used to take it regularly I just add it with juice, water. 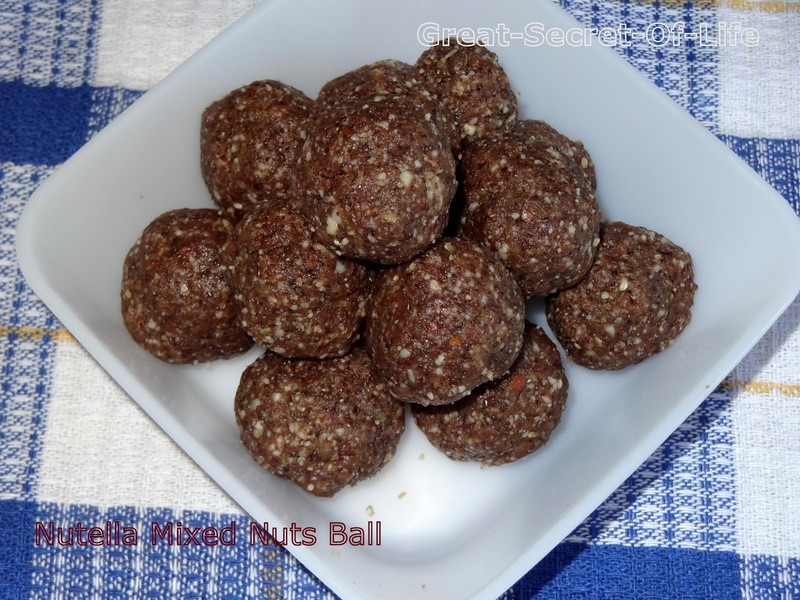 I saw this recipe at http://www.sensibleveg.com/2011/06/mixed-nut-energy-ball.html So decide to give it a try. Made with Almonds, Cashews, Pumpkin Seeds and Chia seeds. This recipe is so high in protein. Grind the Chia into a coarse powder and add the almonds, cashews, Peanut and pumpkin seeds and make a coarse meal out of it. 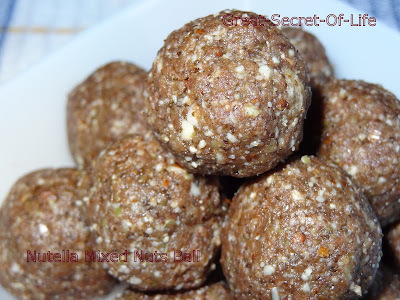 Take out the dough and roll them into small balls and refrigerate for an hour and enjoy. wow, sounds yummy ...love anything with nutella!